Entry to all seminars and demonstrations at the 2019 Scottish Smallholder Festival at Lanark Agricultural Centre on Saturday 28th September 2019. You can also buy passes on the day of the Festival. Cash only – sorry, no card payments on the day. 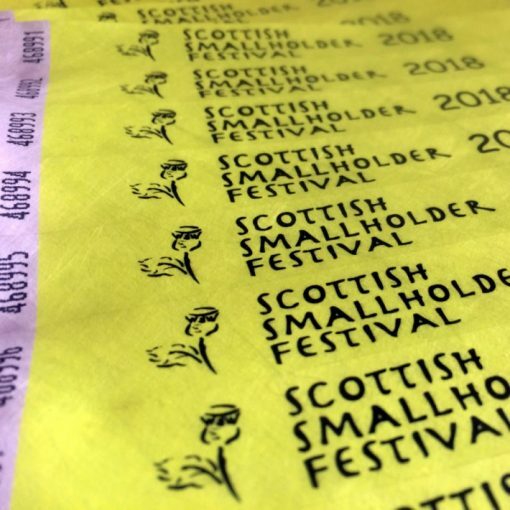 Entry to all seminars and demonstrations at the 2019 Scottish Smallholder Festival. NB: not required for access to Festival displays, food, trade stands and competitions. Includes postage to UK addresses. Tickets will be posted out from Monday 23rd September 2019.